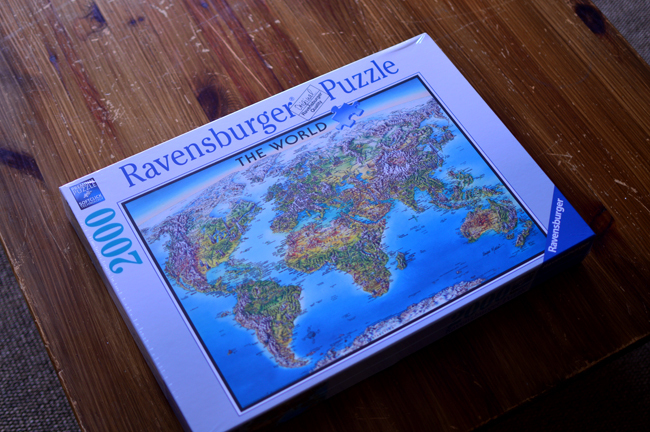 We appear to be developing a bit of a world map puzzle Christmas tradition. This started out as a 50before50 project and we’re now in our third year. 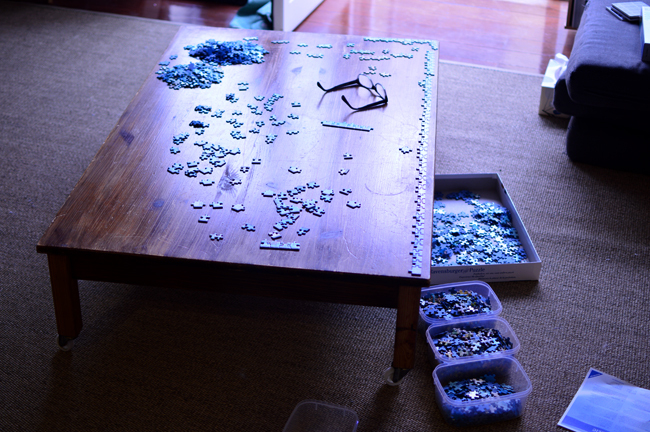 We busted out the new puzzle this afternoon. When I say we, I mean Don – I helped sort the edges for a bit and then read and snoozed, he completed the outside and sorted all the pieces into various categories. We’d intended a bike ride this morning, but we’d had a pretty rotten sleep thanks to some noisy neighbours having very loud squealy-giggly conversations on their balcony (Don went down at around 2am to politely ask them to maybe keep it down a bit – which they surprisingly did). The weather was also less than ideal so we took it as a Sign and instead just futzed about for most of the day. It was exceptionally relaxing – I don’t know that I’ve felt this mellow in a while. Hope yours was equally satisfying!